Charles Leclerc took the honours from Formula 1's post-season tyre test, clocking the fastest lap time across the two days, ultimately shaving four tenths of a second off 2019 Ferrari teammate Sebastian Vettel's best time, as well as completing 133 laps in the SF71H. Leclerc ended Wednesday with a best time of 1:36.450, set on 2019 Pirelli tyres, as F1 concluded on-track matters for the year in Abu Dhabi. After a strong rookie campaign with Sauber, Leclerc will graduate to the Scuderia next year alongside Vettel and has been tipped to make an impression on a title race that has been dominated by Lewis Hamilton in recent years. 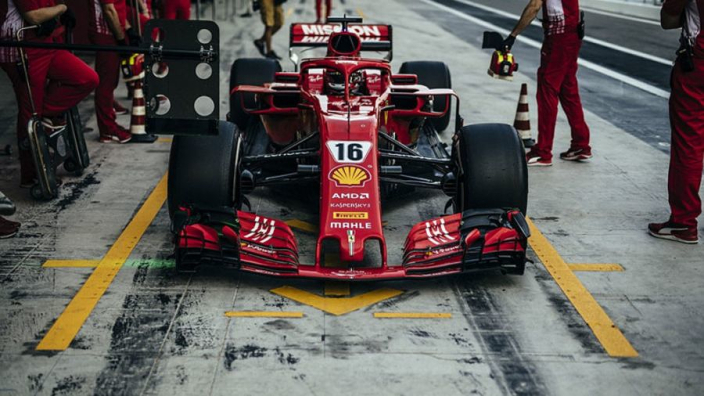 As is always the case in testing, it is not known if Leclerc and Vettel ran their top laps with similar settings and fuel levels. Leclerc's best lap came on Pirelli's 'Compound 5' 2019 tyre - an evolution of this year's hypersoft, which Vettel used for his top lap on Tuesday. The Monegasque was well clear at the top of the timesheets, Pierre Gasly was closest in his first Red Bull run for a year, with a top time of 1:37.916 from his 128 tours of Yas Marina. Valtteri Bottas (143 laps, 1:38.448) was the only driver to complete two full days' of running. Also in action for new teams for 2019 were Williams' George Russell (36 laps, 1:38.836) and Carlos Sainz in the McLaren (147 laps, 1:38.547). Daniil Kvyat drove further than anyone as he returned to the Toro Rosso cockpit, his 155 laps representing almost three race distances of the Yas Marina Circuit. Lance Stroll continued in the Force India as official confirmation of his 2019 switch remains in the air. The Canadian was third-fastest, albeit more than a second and a half down on Leclerc's best time, having put in 122 laps. Robert Kubica (56 laps, 1:40.266) and Antonio Giovinazzi (125 laps, 1:40.435) were in action for Williams and Sauber respectively as they prepare to turn test drivers to racers in 2019, while Louis Deletraz (115 laps, 1:39.069) and Artem Markelov (129 laps, 1:38.590) were given chances to impress by Haas and Renault respectively.